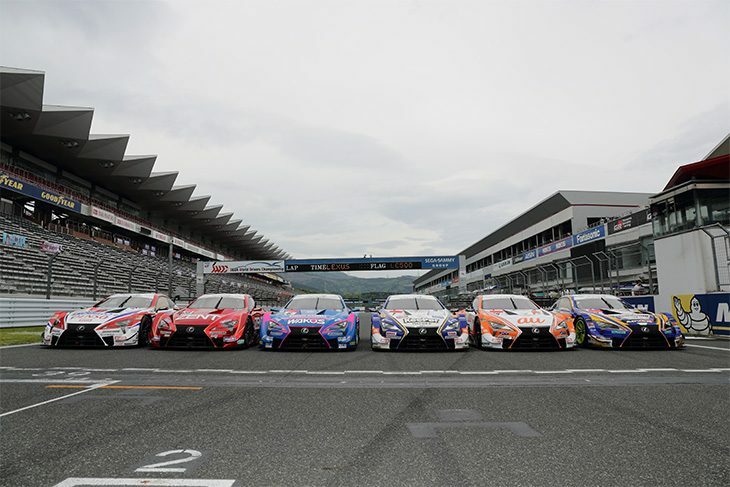 Toyota Gazoo Racing announced its 2019 motorsport activities, which includes the announcement of their factory and customer racing efforts in the GT500 and GT300 classes of the Autobacs Super GT Series. In 2019, Toyota Gazoo Racing will field six Lexus LC500s in the GT500 class, under the Lexus Gazoo Racing banner. The Lexus LC500 took three victories in the 2018 season, including a victory at the Fuji GT 500 Mile Race in August. 2019 will be the LC500’s last year of service in GT500, before the new fifth-generation Toyota Supra makes its debut in 2020. 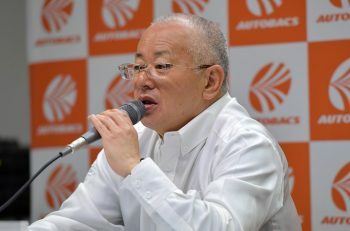 Toyota’s most successful Japanese factory racing team, TOM’s Racing, will continue to field two cars in 2019 under the Lexus Team au TOM’s and Lexus Team KeePer TOM’s banners. Reigning 24 Hours of Le Mans Champion, Kazuki Nakajima, headlines the Lexus Gazoo Racing GT500 roster, in the #36 au TOM’s LC500 that he will share with seventh-year GT500 driver, Yuhi Sekiguchi, who finished 5th in the GT500 Drivers’ Championship in 2018. Nakajima and Sekiguchi won last year’s Fuji 500 Mile Race, a popular win on Toyota and Lexus’ “home circuit” at Fuji. The #37 KeePer TOM’s LC500 will once again be driven by the dynamic young duo of Ryo Hirakawa and Nick Cassidy. Hirakawa and Cassidy won the 2017 GT500 Championships for TOM’s, becoming the youngest GT500 Champions in Super GT history. In 2018, they finished 2nd in the championship, with a win at Autopolis and four podium finishes. Lexus Team ZENT Cerumo will field the #38 ZENT Cerumo LC500 for three-time GT500 Champion, Yuji Tachikawa, and two-time Super Formula Champion, Hiroaki Ishiura. 43-year-old Tachikawa continues to make history in 2019 as he embarks on his 21st consecutive season as Cerumo’s lead driver. Tachikawa and Ishiura finished 4th in the championship last season, scoring points in all eight rounds. Lexus Team Wako’s LeMans welcomes 23-year-old Kenta Yamashita to the team for the upcoming season, partnering the returning Kazuya Oshima in the #6 Wako’s 4CR LC500. Yamashita, one of the fastest rising stars in Japanese motorsport, and a top prospect of the Toyota Young Driver Programme (TDP), moves over from Lexus Team WedsSport Bandoh, where he scored two podium finishes in his first full season as a GT500 driver. Lexus Gazoo Racing also announced the addition of two new drivers in the GT500 roster for 2019: 27-year-old Yuichi Nakayama, and 23-year-old Sho Tsuboi, another top star of the TDP. After four seasons in GT300 and accumulating seven race victories from 2015 to 2018, Nakayama finally makes his long-awaited GT500 debut in 2019, where he’ll drive the #39 Denso Kobelco SARD LC500 alongside Formula One Grand Prix winner, and 2016 GT500 Champion, Heikki Kovalainen of Finland. Tsuboi will partner 2016 Super Formula Champion, Yuji Kunimoto, in the #19 WedsSport Advan LC500 for Lexus Team WedsSport Bandoh. In 2018, Tsuboi made history with a record 17 race victories en route to the All-Japan Formula Three Championship. He was the inaugural FIA F4 Japanese Champion in 2015, won two races as a GT500 driver, and finished 2nd in his debut GT500 race last May at the Fuji GT 500km Race. All Lexus LC500s will carry Bridgestone Potenza tyres, with the exception of the #19 WedsSport LC500, which will run on Yokohama Advan tyres. In the GT300 class, apr Racing will field two all-new Toyota GR Sport Prius PHV apr GTs, the successor to one of Super GT’s most popular vehicles in recent memory. Built to the JAF-GT300 regulations, and based upon on the top-of-the-line Prius PHV GR Sport, the new front-engined Prius GTs will be powered by the 5.4 litre V8 2UR-GSE engine, coupled to a hybrid system. The #31 Toyota Prius, apr’s flagship entry, will feature a new driver combination. Veteran GT300 driver Koki Saga will be joined by 2013 GT300 Champion, Yuhki Nakayama. The #31 Prius will continue to run on Bridgestone Potenza tyres, while the #30 Prius, piloted by two-time GT300 Champion Manabu Orido and gentleman racer Hiroaki Nagai, will carry Yokohama Advan tyres. Lexus Customer Racing will continue to support three teams running the Lexus RC F GT3. First, the #60 Syntium LM Corsa RC F GT3 – operated by OTG Motor Sports – welcomes Dunlop Tyre as their new tyre supplier for the 2019 Super GT season. The driver lineup remains the same from 2018, with 2012 GT300 vice-champion Hiroki Yoshimoto leading the charge, alongside one of the bright young TDP prospects, 19-year-old GT300 sophomore Ritomo Miyata. The #96 K-Tunes RC F GT3 won two races in 2017, and two more in 2018. Three-time GT300 champion and Super GT’s most experienced driver, Morio Nitta, returns, and is partnered by a brand new addition to the Toyota racing family: 19-year-old Sena Sakaguchi, a former Honda junior driver who was FIA F4 Japanese Championship runner-up in 2016, and finished 4th in the All-Japan F3 Championship in 2018. Completing the Lexus Customer Racing lineup in GT300 are the internationally-entered Panther arto Team Thailand, who will announce their 2019 driver lineup at a later date. Their #35 arto RC F GT3 will carry Yokohama tyres.